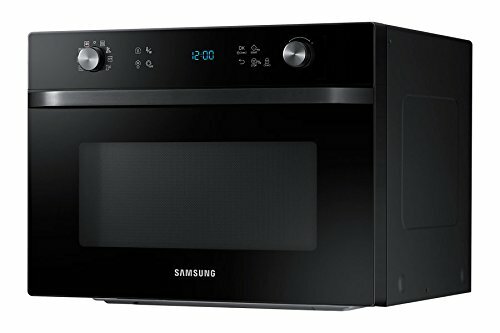 Samsung 35 L Convection Microwave Oven (MC35J8055QT/TL, Silver) comes with power grill duo that lets you enjoy perfectly grilled foods very quickly. 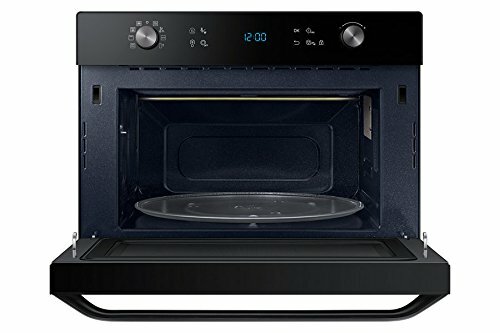 It comes with the latest wide grill heater that is very helpful to deliver high power up to 2250 watts that distributes microwave heat evenly. Samsung MC35J8055QT lets you enjoy healthy meal without going through the root of deep fryer. 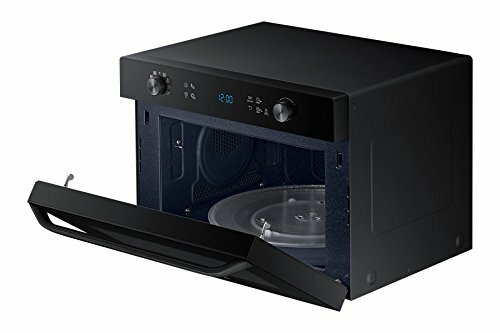 Since it is powered by a slim fry technology that combines a grill with heat distribution to cook foods crunchy with very less oil. 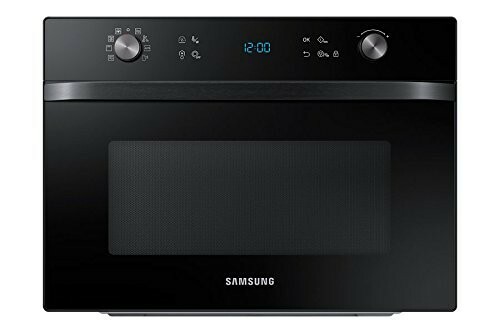 On the other hand, the long lasting ceramic cavity in this Samsung microwave is very easy to clean and it has scratch-resistant profile too. Since the ceramic interior has a plan surface so it can be cleaned without scrubbing. On the other hand, Samsung 35 liters convection oven lets you cook on a large scale using the grandee turntable. It is true that this unit is made in a compact size but it has increased internal area to accommodate large food items and large food plates. 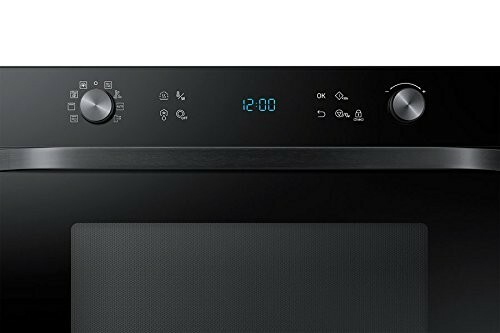 Further, it features turntable on/off features giving you good flexibility to use any shape of dish. 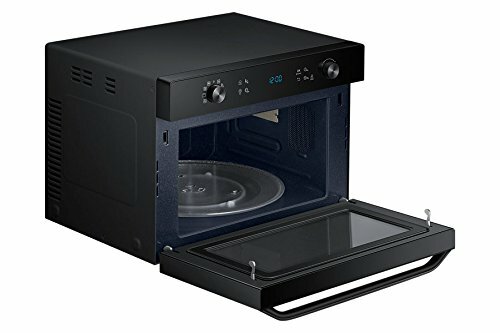 You just need to disable the turntable to stop it rotating and you can utilize every inch of the interior space for large or square shaped dishes. On the other hand, Samsung MC35J8055QT lets you enjoy homemade dough or yogurt anytime you want. This is done with the help of fermentation function that is based on an advanced fermentation technology. 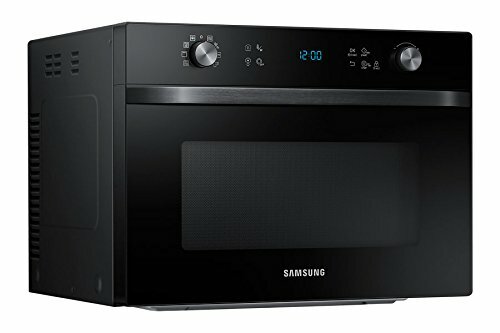 Amazingly, Samsung MC35J8055QT microwave oven comes with one year of warranty on product and 5 years of warranty on magnetron..
Other highlights are turntable on/off, child lock, sound on/off, ceramic enamel cavity, sheath convection heater, preheat and keep warm, clock with 30 seconds and eco mode.